Make sure you have a memorable time in Myrtle Beach, SC by embarking upon the Guided Backwater Kayak Tour. With the option to take the tour at sunset or sunrise, you'll be able to tailor your tour to suit your individual needs, making it the perfect addition to any vacation. On the guided kayak tour, you'll be able to take in the beautiful sights that call Myrtle Beach home. From fish, birds, and other wildlife to the stunning shorelines and coasts, bring your camera along for the adventure of a lifetime. The tour takes guests through Murrells Inlet, which is perfect for sightseeing and experiencing Myrtle Beach's freshwater waterways. Known as the "Seafood Capital of South Carolina", Murrells Inlet is a famous fishing village located in South Carolina. Murrells Inlet is home to several attractions, including a beautiful saltmarsh. Several historic landmarks also call the area home, including Atalya, Murrells Inlet Historic District, and Richmond Hill. As you glide in the waters along Murrells Inlet, you'll be able to see the docks, herons, and other common sights, providing you with a unique experience that will have you feeling like a local. 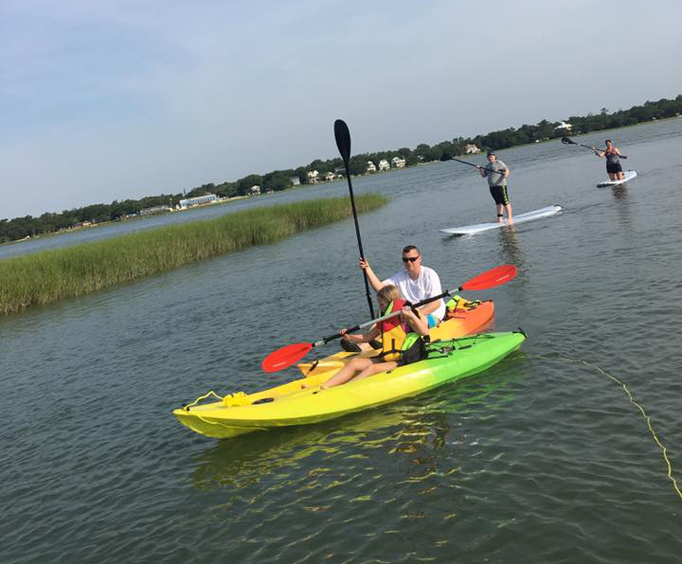 Forget the status quo the next time you are in South Carolina and check out Murrells Inlet on the Guided Backwater Kayak Tour. You're sure to learn something new and be able to soak in the gorgeous scenery while you paddle your way along the sparkling waters. The Guided Sunset Backwater Kayak Tour is great for those who want to see something new in Myrtle Beach. While you will be able to explore various parts of Murrells Inlet, you'll also be treated to the fantastic views of a Myrtle Beach sunset. Watch the sun rise over the beautiful Murrells Inlet in Myrtle Beach, SC. On the Guided Sunrise Backwater Kayak Tour, you'll be able to take in all of the sights and sounds of the backwaters while enjoying a relaxing kayak tour. 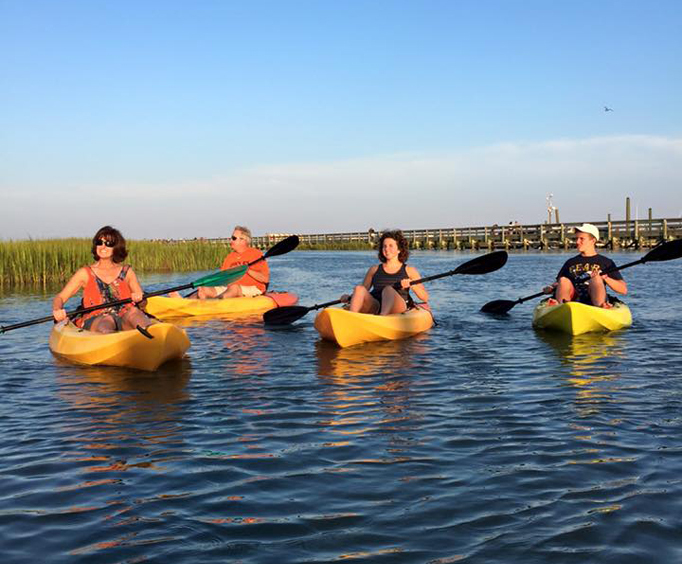 What is included in the admission price for Guided Murrells Inlet Backwater Myrtle Beach Kayak Tour? Includes all equipment for a kayak tour. Moderate physical ability is required. Is Guided Murrells Inlet Backwater Myrtle Beach Kayak Tour guided or a non-guided timed equipment rental? Wear comfortable clothes you do not mind getting wet. 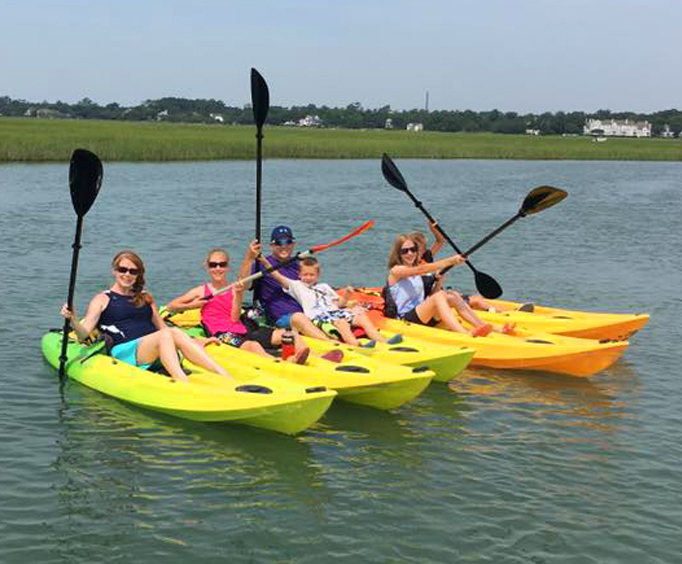 What age is Guided Murrells Inlet Backwater Myrtle Beach Kayak Tour appropriate for? All ages with parental supervision. Is food available or provided?